Today I'm going to help you solve all of your candle problems. Well, maybe not all of them, but I'm at least going to teach you how to make your candles become the gift that keeps on giving! I saw this funny tweet a few months back and can relate all too well, and I'm sure you can too if you're just as obsessed with candles as I am! Like anyone who likes a nice cozy home, you know candles are the secret finishing touch to making your house feel and smell, well, like home. As you can tell, I love everything about these little candles except... their price tag. Especially when I go through them quicker than toilet paper! But like the guy Wint up there, I'm on a budget and can't be buying expensive Anthro candles every month. So, while I may not be able to stop buying them completely, I HAVE figured out a way to make them last longer and go the extra mile. 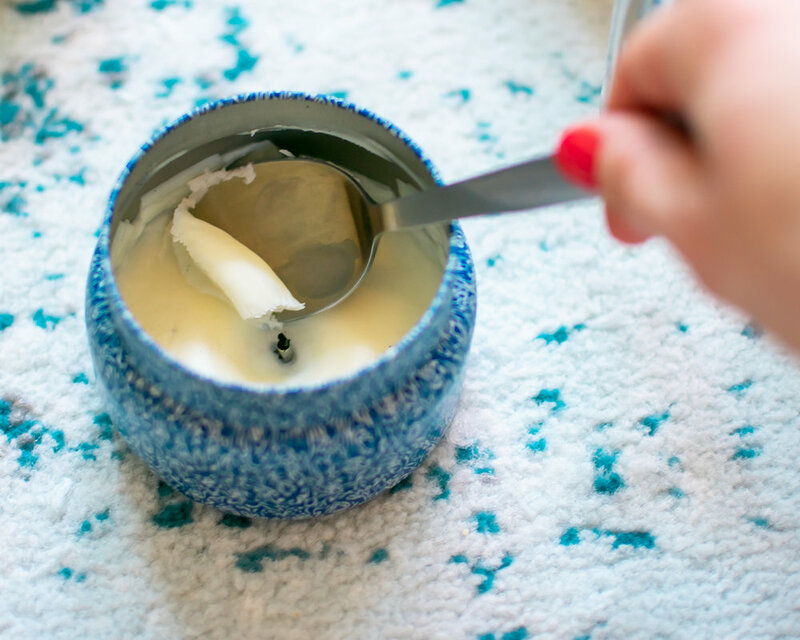 Read on to find out how to not waste a single ounce of that delicious smelling wax. Then, one year for Christmas I decided to make all my coworkers little mini candles as gifts. So I bought the wicks, the candle wax, and the scent oils and as I was making them one of my Anthropologie candles actually ran out. That's when I put two and two together and thought... if I can just scoop out the wax at the bottom of this jar, I can combine it with the other wax I bought and make a whole new candle! And then I realized how much wax I had saved up from all the jars I was holding onto (ya know, for my future wedding and all) and realized there was definitely enough wax to make a few whole new candles! 1. First you want to organize all your candles by scent. So I divide up by fall scents (vanilla and pumpkin), winter scents (pine and balsm), and capri blue volcano. Basically you just want to combine candles that would smell good if mixed. I keep volcano separate from everything else because it's such a distinct fragrance. 2. 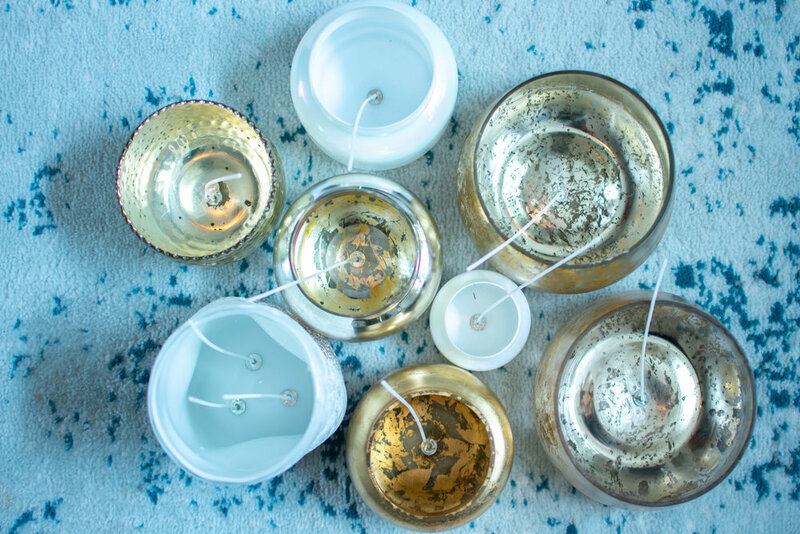 Scoop out the remaining candle wax at the bottom of the pot and place all similar scents into a large liquid measuring cup. 3. 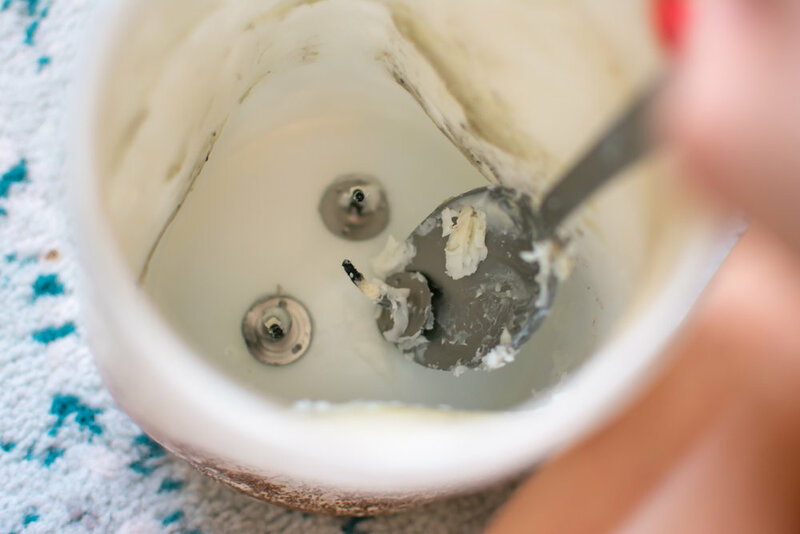 Use a spoon to push out the old candle wick bases. 4. Clean your candle jars with soap and water in the sink and wipe out any dark soot or ash from the previous candle. This is tedious but it makes SUCH a difference in having your candles burn cleaner. 5. 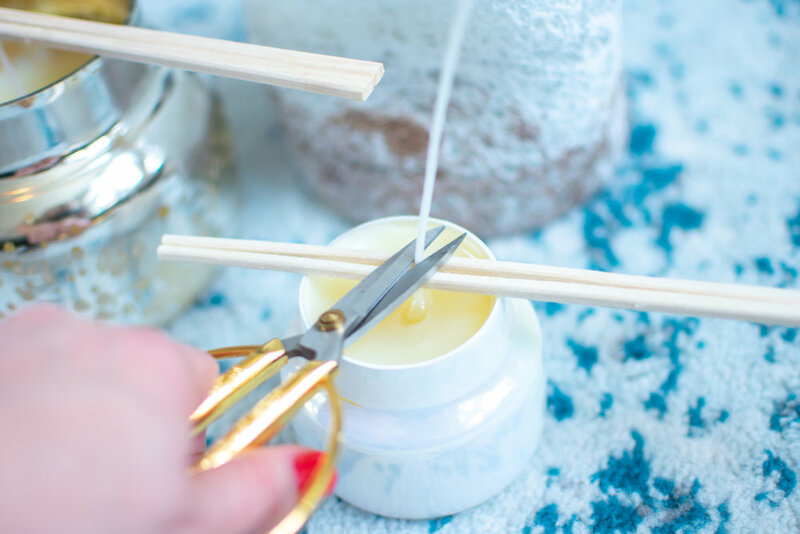 Heat up the hot glue gun and glue in the new candle wick in the middle of the cleaned jar. 6. Take your glass measuring cup filled with wax and place in the microwave to melt. Usually around 4 minutes melts all the wax. 7. Now take your favorite jars you want to re-fill, and pour the melted wax into it. 8. 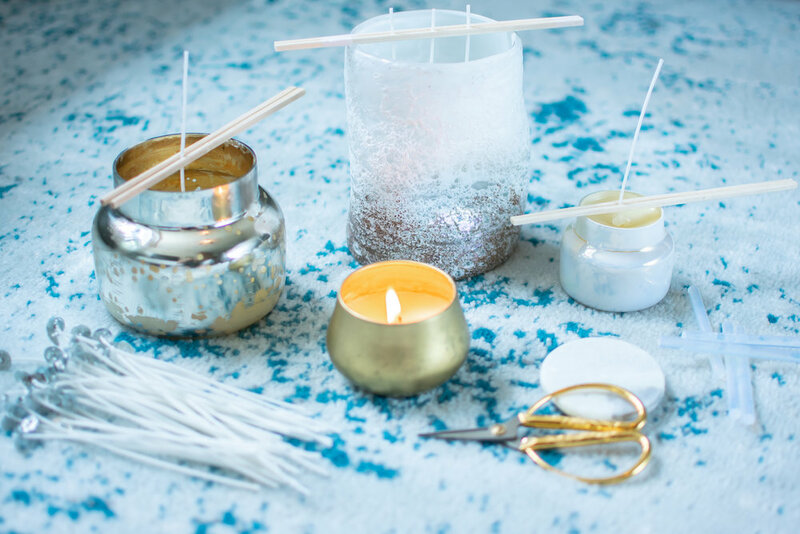 Take the chopsticks and place the candle wick in-between the two and stand straight up in the center of the candle jar, let sit like that until candle has cooled to hard wax. 9. Once the candle has dried simply cut the wick down to size. 10. Li-Li-Light up, and enjoy! Candles are expensive enough as it is, the last thing any of us want to be doing is letting 30% of each candle get thrown in the trash! 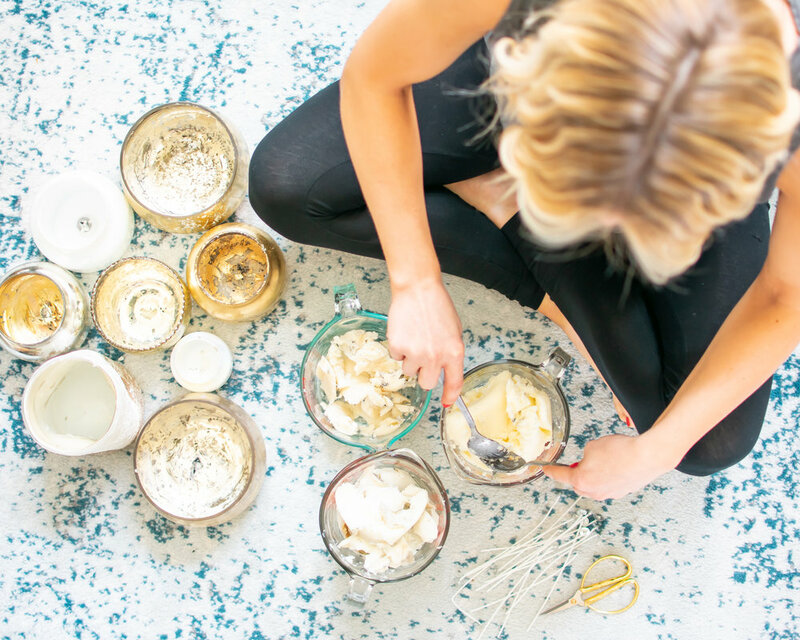 With this simple DIY, you can up-cycle your favorite scents and jars continuously - saving you ton's of money so you can spend it on more important things... like rent! 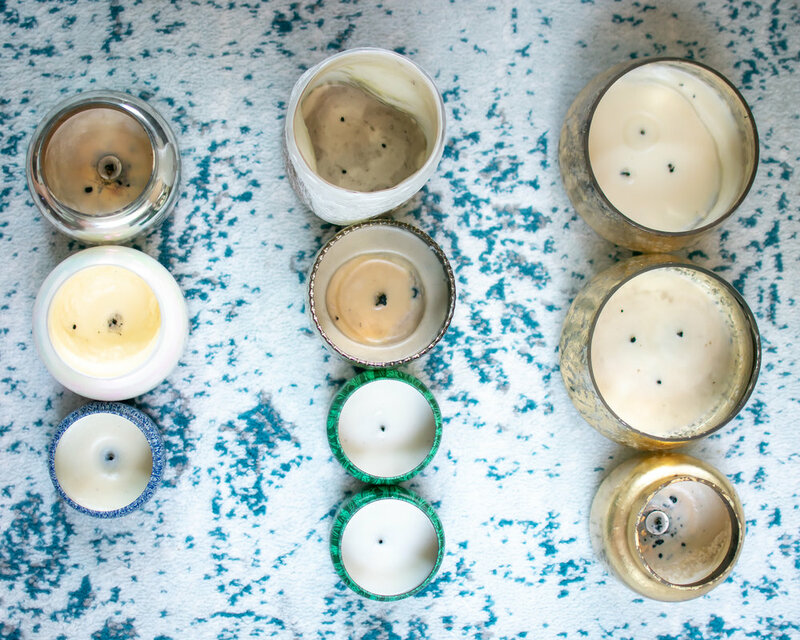 If you're a candle fanatic like me and have tried this fun DIY, let me know in the comments below!